In April last year the first ‘J00F Editions’ caused less a ripple, more a seismic swell to pass across the electronic music pond. It rubbished the standard mix-comp rubric and ported a DJ’s genuine in-club experience like few before it. Underscoring, no end the popularity of its mixer-in-chief, ‘JOOF Editions Vol. 1’ debuted at #2 on Beatport’s all-genres chart (landing between Avicii’s ‘True’ & Skrillex’s ‘Recess’) – a landmark achievement for a trenchantly underground release. It was also the vanguard for the JOOF Editions World Tour, which sold out an incredible, unbroken string of shows in 32 cities. 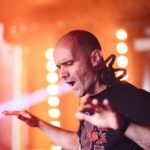 A year on, John 00 Fleming, “one of the pioneers of the electronic dance music scene” (The Daily Telegraph) delivers ‘Editions’ next sequential chapter. Again adopting his open-to-close set-arc M.O., across 4 nonstop hours, it collages progressive, tribal, deep, Psy, Goa & melodic trance collectively into that fabled ‘J00F sound’. Through a tour-de-force mix, John journeys through 41 upfront and current tracks drawn his JOOF imprints and other akin labels. It features audio from longstanding 00 Fleming peers like Airwave & Astrix, nu-skool members including Bryan Kearney & Guy J, as well as John’s aegis of newer producers inc. Italy’s Alex Di Stefano, Frenchman Rick Pier O’Neil and others. The mix-comp’s mission is as simple as it is unflinching: to ring fence and fortify electronic music’s underground through sounds that stylistically shun commercialism… with prejudice! 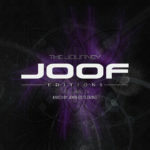 ‘JOOF Editions Vol.2’ arrives, as its maker intended – a 4hr-long unbroken mix journey. 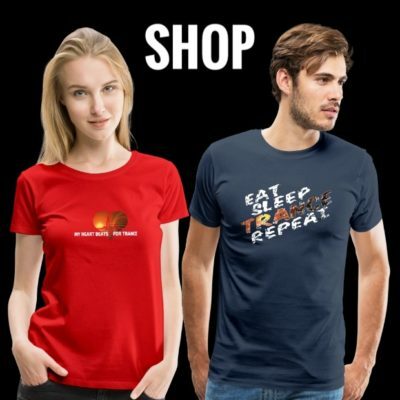 Throughout its runtime, you’ll find a mass of deep-space-prog and neo-trance from the likes of Guy J, Matt Lange, Miika Kuisma, Phoebus and many more besides. Naturally, you’ll also find a profusion of 00 Fleming material too. Included among them are (per DJ Mag) the “deliriously kaleidoscopic” “sonorous, long-dark-tunnel appeal” of recent “8/10” scoring single ‘Tik Tok’ and the just-released follow-up ’The Imperial Echo Of Devastation’. Book-ending the mix meanwhile are ‘Editions 2’ exclusives ‘Amanitas’ (with Digital Blonde) and its ambient dénouement ‘5000 Light Years From Earth’. 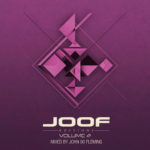 On the release of ‘Vol.2’, 00 Fleming says: ‘I’m known for playing my longer sets where fans get to hear the true JOOF experience. Over 6 to 8 hours I can unfold a wonderful musical story that has no genre rules, where I can feely express my collection of hidden gems to a likewise audience allowing them to experience new music yet delivered in a new exciting way with many twists and turns. 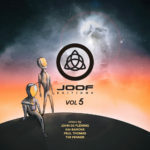 With my JOOF editions mix compilations I try to bring a snapshot of the club experience into to your living room, your car or while running along a beach over an unbroken 4-Hour period. Last years debut album proved a huge success and something I intend to bring back again here with Volume 2’. 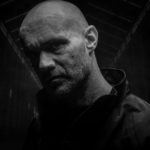 Through tracks like ‘Tigris And Euphrates’ and the Deep & Dark mix of ‘A Touch Of Grace’, music from longstanding J00F compatriots like Airwave are equally well represented. Likewise you’ll also find much from John’s protégées, including ‘The Dark Machine’, ‘Funktional’ & ‘Rool To The World’ from Rick Pier O’Neil and Alex Di Stefano, whose ‘Black Panther’ and Bryan Kearney ‘Say Nothing’ rework rock the mix’s midsection. As ‘Editions 2’ ventures into its final hour, the tone turns to face east and faces out Goa way. The humid ether and propellant tempo of 1200 Micrograms’ ‘Shiva’s India’, Astrix’s ‘High On Mel’ and the Sonic Species rework of his ‘Techno Widows‘ cast their spell. Further in are album exclusives like ‘7 Theories’ from Micky Noise, Static Illusion’s ‘Mind Keepers’, Audiotec & Space Cat’s ‘Touring’ and Zen Mechanics/Egorythmia collab ‘Dragonfruit’, all summoning a thrilling psychedelic thrall. 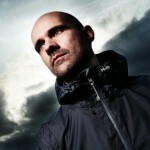 A gripping journey into the sonic mind of one of electronic music’s most underground committed and dedicated DJs. 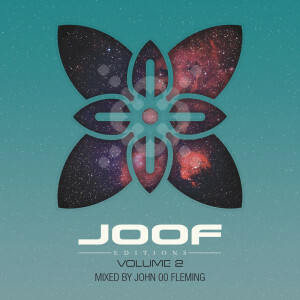 J00F Editions 2 mixed by John 00 Fleming is out on June 22nd 2015!